People often confuse having a common cold with having a proper flu. While these illnesses may share a few common symptoms, they're caused by totally different viruses and are actually fairly easily distinguished between if you're familiar with the symptoms. Granted, being sick is being sick and since we've no cure for either the flu or common cold, it probably doesn't much matter whether you diagnose yourself properly or not. But if you're one of those people who happen to be highly susceptible to complications such a pneumonia, it's going to be in your best interest to spot the flu coming so that you can start antivirals if they are necessary for your particular condition. And it wouldn't really hurt if the rest of you knew the difference, either, so read on for the relative symptoms of influenza and colds. Fever -- Not always, but often, and often rather elevated at that. A common cold tends not to produce a fever unless you've got a secondary infection of some sort going on at the same time. Chills -- You can get a mild case of chills with the common cold but the chills you get with flu make the other type look like child's play. 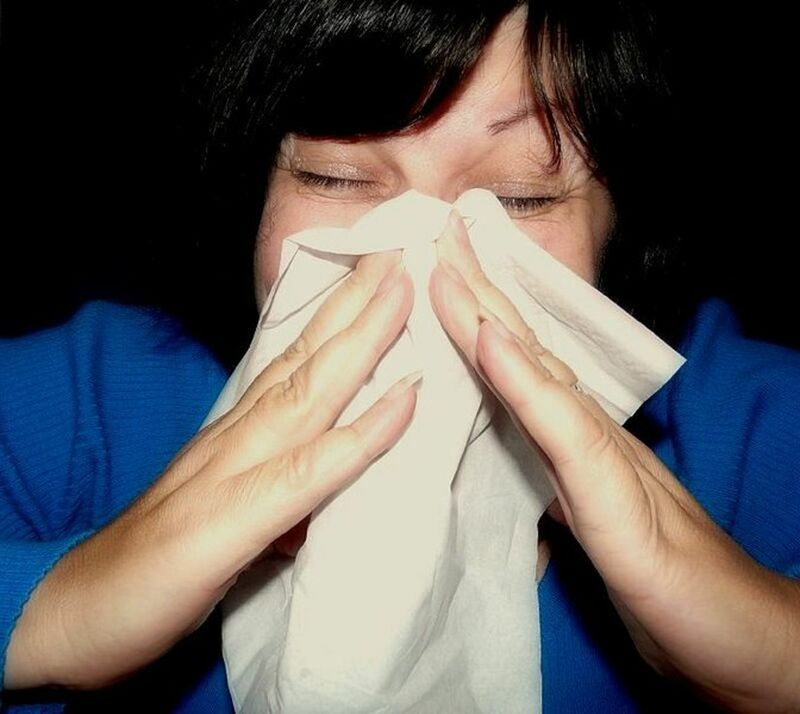 Chills from the flu can make your teeth chatter even indoors if you're ill enough! Full Body Aches -- Chills often go hand in hand with body aches, which really make you feel crappy anytime you so much as reposition your head on a pillow. These are muscle aches and often people's bodies become so sensitive that one could swear they feel the actual muscle insertions aching! Non-productive Cough -- if you're coughing gunk up, you've probably not got the flu, as influenza tends to create a dry, sharp cough that serves zero real purpose other than making your aches and pains worse. That said, if you've got a secondary infection you may well have a productive cough in conjunction with having the flu. 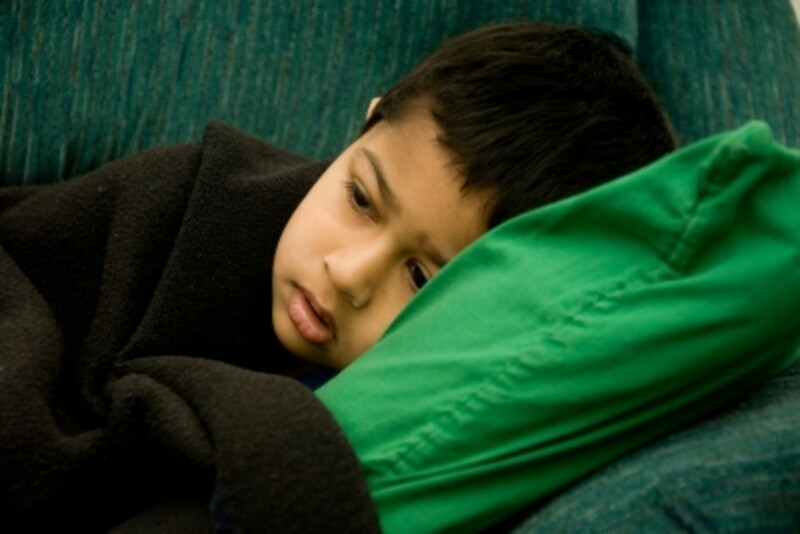 Lethargy -- Feeling so tired that you can't even roll over in bed is a common symptom of having the flu. Runny noses and stomach issues can also occur but happen most frequently in kids. No fever -- Usually, anyway. It's always possible to develop a slight fever when your body is fighting off an infection and this may occur, depending on your immune system. But you should not have a serious fever. Stuffy nose -- Can't breathe because your nose is stuffed with gunk? That's pretty common with colds. This will often also turn into the incredible, neverending runny nose that requires blowing 50 million times a day without some sort of medication to stem it off. 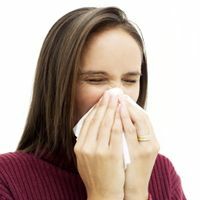 Sneezing -- You'll probably sneeze at least once during your bout with your cold, and possibly often, but you shouldn't be sneezing nonstop the way one might react to hay fever. 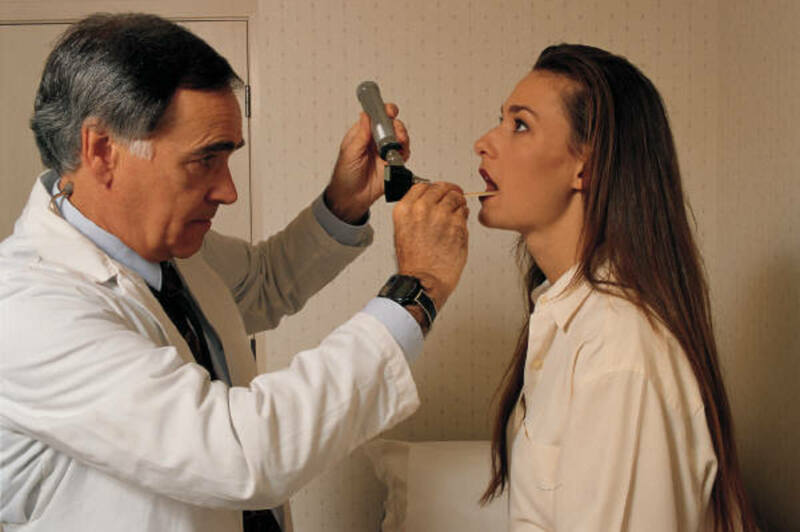 Sore Throat -- This is common in some cases, less so in others. A post nasal drip can lead to this so if you know how to quell that before it gets out of hand you can actually go through a cold cycle without developing one. Tight chest -- If you've got gunk down in your chest, that's going to cause a feeling of tightness. This will go away once everything's been cleared out but could be a bit painful at times, especially when coughing. Wet cough -- This is a productive cough and it's a good thing. Do not suppress this type of cough as this is your body's way of cleaning that gunk out I just mentioned. Aches -- You might feel a bit achy but it shouldn't be so bad that you can't move without wincing, as one does when they have flu aches. Chills -- These are not common with a cold but, personally, I do experience them on a mild level toward the end of the rhinovirus cycle. You shouldn't be shaking or chattering, it should just feel like mild chills that you could tolerate if you needed to. How Long Do Viruses Live on Surfaces?